‘Welcome to Moes!’ are the first words we hear shouted out when we open the door and walk into Moe’s Southwest Grill. Every worker has an extra eye on the door to give us a greeting, even if they are making some one’s else burrito at the same time. We feel so special! 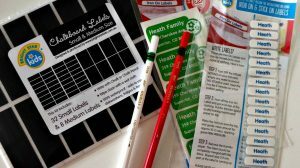 For my busy loud family, I love the concept of Moes and the way it is laid out. Walk in, order at the counter and watch them make your food in an assembly line (like Subway), pay instantly, pour your own drinks, leave without tipping. This is my kind of restaurant. What makes it even more perfect for me? Mexican! My favorite! They also have the best names for their meals ~ Hubby orders Billy Barou (nachos), I usually get Homewrecker (burrito), and the kids love Power Wagons (tacos). Makes it fun to order that way! It makes me feel good to eat at Moes because their food is not made with transfat or MSG. They make everything fresh with no freezers or microwaves. Choose tasty meals for under 400 calories if you want! I brought my mom to try out Moes for the first time when she was in town. The kids were excited to bring her because they love our Moes. It has two floors and they think that is the neatest thing. Plus they have fun ordering their tacos made especially for them. I do have to admit that our family are chip-a-holics and we love love their Free Chips & Salsa bar! Choose whatever salsas you want and you can go back for more! YUM! WIN a $25 GC and take the family to Moe’s Southwest Grill! Moes sent me a giftcard for this review but I was not compensated in any way for the post and all opinions are my own. Happy Mother’s Day from Me! $10 Amazon Giveaway! We love Moes! My husband loves their big burritos. We never go home hungry. I just found out a few days ago we have a Moe's. I really need to try this place out. I like Moe's on fb. I am a BeachBum on fb. I love Moe's. It is a few miles from my house and I enjoy lunch there. I've never heard of Moe's until today but I am a HUGE fan of mexican food and would love to try it. Thanks for the chance to win! I subscribe to Crunchy Mail! We have a Moe's right up the street from us. We love it! I love their nachos!! I like Moe's on facebook. I would love to try Moe's Spicy Quesadilla! My husband loves their Homewrecker burritos. I like the creative names for their menu items. The "Art Vandalay" made me chuckle. I like Moe's on Facebook with my username Mary Happymommy. I like Crunchy Beach Mama on Facebook with my username Mary Happymommy. I want to get the I <3 burritos shirt for my husband. I would love to take my granddaughter there. Their kids menu looks great for her. Thank you for this giveaway. I haven't been to Moe's in YEARS. But I recently heard that they charged their menu to include healthier meats and have been wanting to give another try. And I will have to swing by there for meatless mondays too! We LOVE Moe's! Welcome to Moe's (LOL) I love their chicken nachos! MMmmmmmmm! I like Moe's on fb! I love the menu at Moe's--creative names! I like Moe's pulled pork rice bowl. I LOVE Moe's especially their Homewrecker burrito! Yum! I like Moe's on FB. Tiffany W.
sorry the comment above needs to be deleted, im seeing things today lol we ususally go to the Mechanicsville, VA Moe's, actually know someone who works there!! :) kiddies even love eating there. my plate would be the tofu salad bowl YUMM! I like the Homewrecker without beans or guacamole. I "Like" Moe's on Facebook. never been to moe's. To bad I didn't discover this a week ago before my birthday. Oh well. I'll have to try it sometime. I've never been to Moe's, but I recently realized that there's one fairly close to where I go to school. I've seen people say a lot of good things about it, so I'd love to check it out some time. I would like the Home wrecker. The closest Moe's is 11 miles away, not too far to make a trip -- but I wish there was one closer!! I love how fast and convenient Moe's is and how cheap their prices are! I just love the homewrecker! I love Moe's. I was so excited when they opened one in the town I work in. I am a vegetarian, so there menu is great for me. The food is fresh and just taste great! I love their burritos. Best place to eat lunch at with co workers. The associates at Moe's in Fuquay Varina, NC are great - friendly and enthusiastic. Moe's is one of our two favorite restaurants. I love the moo moo mr cow and hubby loves the homewrecker. I've never actually been to Moe's before but I would love to try their Billy Barou nachos. I LOVE their tofu burritos! I love that you can order Moe's online and then just go pick it up... perfect when you're in a hurry! I love the item names - they are funny/clever. I really like their salads and burritos. I eat there a couple of times a month. i have only been to a Moe's once while on vacation but it was delicious and i would love to go back! My favorite Moe's is at the Avenue at Viera in Melbourne, FL! I enjoy ordering the Art Vandalay!!! I've never been to Moe's, but I have been wanting to try it. There is one not too far from me. We had to laugh on Cinco de Mayo, because some girl was outside dressed like a taco and wearing a sandwich board. Pretty funny. 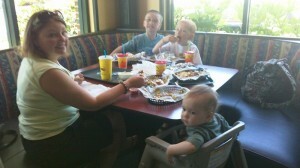 My family LOVES going to Moe's! My kids especially love how the staff shouts out "Welcome to Moe's" when we come thru the door. And my hubby & I love their selection of music that they play. And their sweet tea is delicious! I get Crunchy Mail at annmarieweeks at verizon dot net! I would love to try Moe's - Pulled Pork Rice Bowl - seasoned rice, pinto beans, pulled pork, girlled onions, pico de gallo, shredded cheese with Moe's famous queso and fresh cilantro. Yum! We have a Moe's that is only 5 minutes away from the house and YET have never gone there for one reason or another. THIS would be a GREAT incentive to finally go! I "Like" Moeâ€™s on Facebook! I am following you with GFC (Cataroo). Love Moe's. It's great because all my kids love it too! We've been many, many times and the foods always been high quality. I especially love the salsa bar, my favorite being the green salsa. always great food and great times there! 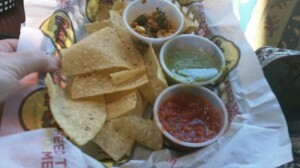 I love all the salsas that Moes has! I love their Super Kingpin, yum! I' never been to Moes, but one just opened near us and I"d love to try it. There menu looks like it has something for everyone. I've never been to Moe's, but I'm working on convincing my husband that we should go there. It's less than a mile from our house. I've never eaten at Moe's before even though I pass it every day on my way home. i really want to try the homewrecker! Moe's is one of my favorite's! I love the Billy Barou nachos! I'm a FB fan of Moe's. I love Moe's!!! I have eaten at Moe's quite a few times and I just LOVE IT! I work right in front of a Moe's, and if I could. I would eat there everyday. LOVE IT, LOVE IT, LOVE IT!!!!!!! I'm a beachbum on FB!! I like moes on FB. I've only eaten at Moe's once but loved it. We didn't eat there again because our son is a very picky eater. He now eats Tex-Mex though, and our daughter eats anything. They have a rockin' kids menu too and it would be a great family treat for us! I like that they have catering-- I'd like to try the fajita bar. Moe's is one of my all time favorite restaurants. I order the Homewrecker (streaked) every time I go! :) Burrito's are only $5 on Mondays! Love this place! Moe's is the best. I love the Homewrecker burrito. About Moe's - they JUST opened one up in my town and I've been dying to go there! My mother walked in and they all yelled "Welcome to Moe's" so I need this kind of welcome too! we like their kids menu! Their taco salads look really good. We enjoy Moe's. We don't go there too often because it's a bit of a drive, we do like to visit. I haven't dined at Moe's. Their menus sound great. Thanks. I am a Beach Bum on Google Friend. You can find the nutritional valuse for their food by building your meal! How great is that?!? I have never been there, but I hope to go when I am on vacation this summer.